What the heck are we? Im listening to a video ..... so we're physical bodies that house our spirit or soul - I get that part - but how can I have "other" parts of my soul that are NOT with me? Parts that are else where .... but they are all me! Why aren't they with me? Did they get lost along the way of past lives some how? How do i get them all back to me? Geeeeez, Im out of my depth here, but I WANT to learn. Can anyone help me? Please dont mention parallel universes just yet! I've dipped my toe in that subject once too often but its WAY over my head. SIMPLE is good. I hope you can EXPLAIN IT TO ME LIKE IM A 5 YEAR OLD! Kelly Flack ‎Hazel, I had to read that a few times. thank you. So, just for example, could my husband, or children or dogs and I, and others, all be a part of the same soul group? or is a soul group just lots and lots of other "me"s ? Kelly Flack so we could be of the same soul group (as an example)? Hazel Moore You could be, or that all of your souls are working together in that they put lives out as individuals to live and experience together. I can relate to the orange . but can I just clarify something..... lets use the scenario you described. So theres me, Pete, Shay and Cori. Is that 4 whole oranges? OR is that 4 segmenst of the same orange ? Hazel Moore ‎4 segments of 4 whole oranges interacting with 3 other segments of 3 other oranges. BUT it is not out ruled that maybe one whole orange has put out 2 segments into one family, personally I find that highly unlikely but not a no no. Animals are not of the same soul as we humans, they are a different soul energy with a different purpose. Kelly Flack this is great! because i understand - LOL - so HOW did other segmenst of MY orange end up somewhere else? in some of your meditation audios you get us to say "I call my soul to me" ......... how did the other segments become NOT with me? Hazel Moore Your soul, mostly lives outside of your body, in other realities,it would be impossible for your whole soul to be in your body, it would be so powerful that it would blow your body to smithereens, but in any case it just wouldnt happen. When I say the words 'call your soul to you', it is because most people do not give their soul a thought and it is only when the personality (you and me) turn their thoughts to higher things that the soul starts to turn toward that life and help it and, so by calling your soul to you you do so for your benefit, a conscious act of connecting with something much greater than you are. Over time more of your soul will descend through all of the chakras and really empower your being, not simply because you have called it to you, but because you are clearing away the debris and wrong thinking of what has gone before. Once a human turns its attention to higher things and MEANS it the vibration of that yearning is like a tug on the Soul and it knows that that part of itself put out into dense matter is ready for more. Thus, God will not be Mocked. Hazel Moore The other segments didnt become NOT you, they never were you per se. They are individualised portions of the same soul. For example I had a segment of my soul (some would call it a past life, but that isn't quite correct, but people invented that term to simplify) a man, in our terms, alive about 500 years ago, could be on this planet or one very similiar (a parallel one!) he owed money to the local Hierarchy (Illuminati to us!) and they passed out punishment on him for this and the punishment was that he would be serve them in all ways for the rest of his life. They made him do horrendous things, sexually and in other ways, he spent lots of time locked up and doing hard labour for them. His only respite was a few moments every day looking at the sun and from this he took great strength. A horrendous life! Now, the 'bleedthrough' of that life, because I am connected to him right, was that I often had the feeling that I was trapped and couldnt get out of it, I did know why......but that feeling was HIS FEELING, he was trapped and couldnt get out of it, and sometimes I would turn my face to the sun and be overwhelmed with gratitude, again HIS FEELINGS bleeding through to me from what could be termed a parallel life (a life going on at the SAME TIME but in a different dimension, a life that my soul had put out. Someone doing past life regression would say it was a past life of mine because of the period, ie clothes worn etc. But in truth its not a past life, in truth there is no such thing, its a life that my soul put out at the same time as it put all the other lives out that I am a part of and have access to. I had what i call a breakthrough, when this man's Life in a 3D world ended and he went back to his home, his Soul, in the Spirit world. Yes, stronger connection but the connections are made via the chakras and the level of consciousness that they represent. The Lower 3 chakras are the ones that have to be spiritualised. Kelly Flack A-Ha! So my whole orange got together and decided that it would benefit us greatly, as the whole, to split portions of our self up into segments. A segment went to this dimension, another to that and so on ...... and now we have segments experiencing the different fruits of life (so to speak) .......... but one day, will ourt orange be Whole again? Hazel Moore Well not really. When I go back to the non physical world as a segment of that Orange, in the beginning I will still be me Hazel, think, feel and talk as I do etc....but then I will meet up with all the other segments, all of my lives who have also become/are non physical, i will do that as my thoughts think of this and these 'other lives' will be as great friends but much more, soul mates. I will then, as me Hazel, continue to unfold and grow and this dimension and create lives myself eventually. Kelly Flack what do you mean "create lives myself eventually" ? Kelly Flack in othe words, you will be in charge of your own orange? Hazel Moore When we are non physical our thoughts have such power that they create. I know people who have passed over and create birds they come back to loved ones here in this reality. 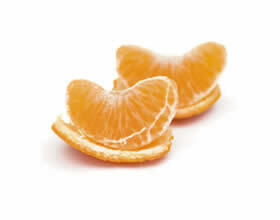 And the Orange that put me out will have become something much greater still. And yet we are all connected, do you see? Kelly Flack the tree perhaps :) yes, I see, we are all connected! So, the orange that put ME out .... who is that? Is the orange my higher self and if so, is my higher self, the higher self of ALL of my segments ? Great post Kelly. Now what is an Oversoul? Is that the higher self? Our souls being present in many dimensions ( and therefore times) does help account for the flashes of information and visions that seem to come from nowhere. Wouldn't it be cool to be able to conciously travel to them all in our astral bodies! :) David Wilcock talks about that in his convergance movie....Do you think that we do that in our dreams naturally? picture the soul like the sun, sending out rays. each one of us is a ray of our soul. each ray is equi-distant and equi-close. our soul, in this context would be the 'oversoul' that entities like Bashar talk about. from what I can gather, the higher self is the part of our soul ray that is non-physical and fully conscious. I am a soul ray of my soul. we all have soul rays that function in other worlds/dimensions, this world at other times, etc. I've read, in Machaelle Small Wright's work, that we have 12 other soul rays attached to each other soul ray. so perhaps, even though each soul ray is equi-distant from the other, we'll have an easier time accessing these 12 other soul rays. I assume this "attachment" is for both karmic reasons and for soul assistance reasons, but I don't know yet. this is conjecture on my part. I like the soul ray analogy because each "ray" functions very much like a mathematical ray -- it has a starting point within the soul and can continue on into infinity until it chooses to return to the soul. according to Wright's work, we also have a body attached to that ray, so as I understand it, anytime I take physical form, I will look as I have looked within this lifetime. This would be supported by the accounts of the NDEs people have had when they've seen their family members "up in heaven".